Paradise! Updated 2BD/2BTH on Crescent Beach "Just Steps to Beach and Gulf"! Sea Shell Condominiums, located on Siesta Key just over the bridge from Sarasota is the perfect year round vacation get-away resort! The Sea Shell Condominiums are a gated complex with assigned covered parking. 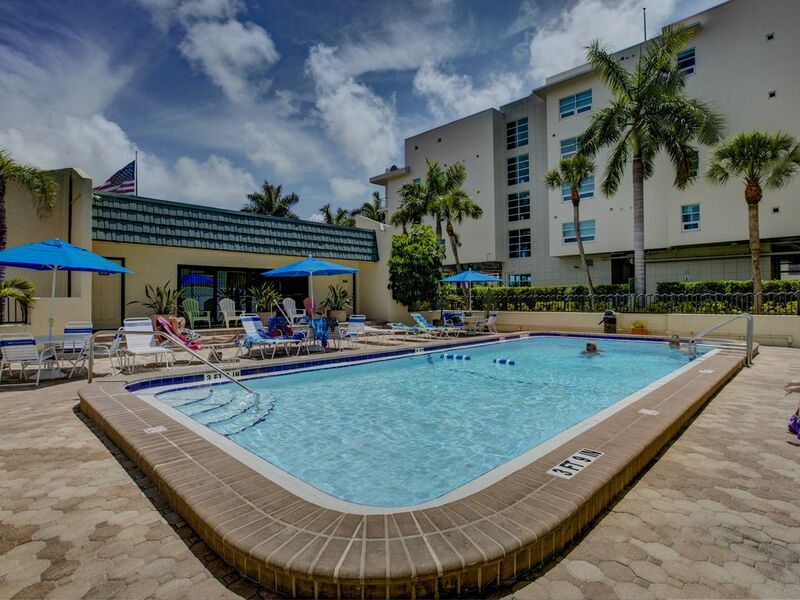 Our apartments are fully-equipped, laundry facilities are available on each floor, and the balconies off the condo offer views of the breathtaking sunsets of Siesta Key as well as the natural beauty of the beach and tropical waters. Swim in our heated pool, sunbathe on the beach, or relax in the saunas. The vacation of your dreams is awaiting you! One of the finest updated luxury condos at the Sea Shell.The Master bedroom has a New Serta kingsize pillow top mattress and private bathroom, sliding door onto the Lanai. The Guest bedroom has 2 New Queen Serta pillow top mattresses and access to 2nd bathroom.There is a flatscreen TV in the guest bedroom .The Living room has a new Leather Sleep sofa, Loveseat and Chair . There is a 55" LED Flat screen smart TV in a large KeyWest style entertainment center . Fully equipped Renovated kitchen with granite counter tops and separate Dinning room. The beach is fantastic!! White quartz sand that never gets hot or cold and feels like baby powder.The blue azure waters lap up to this pristine beach. Dolphins a local native are a common site. The complex is centrally located across the street from small supermarket,Great Restaurants,Deli ,boat and bike rentals,The Orange Octopus ice cream parlor.Try my fav. salted caramel!, Pizza, 7 Eleven, Gift shop etc. The Sarasota Florida area is large enough to offer cosmopolitan cultural amenities, yet small enough to offer secluded privacy. Boating, fishing, and snorkeling can all be done close by. Private Crescent Beach on the Gulf of Mexico, world renowned for its beauty and the pure white 'baby powder soft' sand, is the perfect year round vacation resort! Steps from the white sand beach and Crystal waters of Gulf of Mexico!! This is a great place to stay right on the beach, I would highly recommend it. It's the perfect location for everything and if you don't want to ride the trolley you can just walk across the street to several different places. Sue was GREAT to work with also! Love Siesta Key but didn’t like this property. Condo was updated but very cheaply done. Walls were dirty, dusty baseboards, towels very thin from wear, windows very dirty and window coverings we’re vertical blinds and had several damaged or broken areas which caused them not to close entirely so master bedroom had lights shining in from street and condos next to Sea Shell. The floors were very dirty when we arrived (Christmas Day) and I did make a phone call to the owner and the cleaning company and someone came the next day to clean them but not thoroughly cleaned. The beds appeared to be fairly new and were comfortable. So sorry you did not have a good experience. The Ladies that clean our condo are very meticulous and I have never received a complaint like this before.I have many reviews that express that experience.All furniture was purchased within the last couple years. I purchased from a reputable store in Sarasota.This retailer does not sell cheap furniture. On your arrival Christmas day you found the floors tacky from the cleaning products.The following morning the cleaning service recleaned the floors.Shavonda who owns the service also stopped by the following day to see if all was okay.I too followed up with several texts and calls but did not receive an answer back.I'm sorry that it rained the week of your stay.Not the best weather for a Holiday vacation and might have contributed to the way you felt about our place. It's not typically a rainy time of year.I do have my blind company checking the blinds this week to repair and replace any broken blinds or parts.I purchase New towels every spring and fall. However I purchased additional towels after your stay.I honestly do not think the towels felt or looked thin.I Very much want my Guests to have a wonderful experience. Siesta Key is always the best. The apartment was great. It was roomy and very well equipped. The furniture was in good shape and comfortable. It was clean and the kitchen had everything. The owner checked in to make sure we had everything and that we were comfortable. (We were). The beach is phenomenal and the building puts out chairs on the beach for the use of the guests. There was plenty of beach equipment and towels in the unit. The building is just across the road from a couple of restaurants, convenience stores, etc, All in all we were very pleased and hope to come back. Beautiful, modern beachy, updated, clean, and perfect location. This was my first time using any vacation home website and was nervous. It turned out great! I wish the weather had been better but the condo was PERFECT. It is updated with nice furniture, bedding, nice bathrooms, plenty of towels, and the kitchen is fully stocked -- although I only made breakfast a couple times. It's the perfect location with a market and restaurants across the street and a free trolley or fast Uber service to bring you to Siesta Key Village. It's also easy to go into downtown. The beach is stunning and perfect for long walks. Sue, the owner is super nice and quick to respond to any questions I had about the area, etc. I'm already looking for dates to go back down! The location fantastic, the apartment spacieous and well equiped, we really enjoyed staying. We where six, three generation, and all of us enjoyed the stay. Thank you Susan for having us and we whis you and your family Mary Christmas and Happy New Year.